Coca-Cola is debuting a fun flavor that will be the brand’s first trademark flavor innovation in over a decade, but not all of its fans are excited. 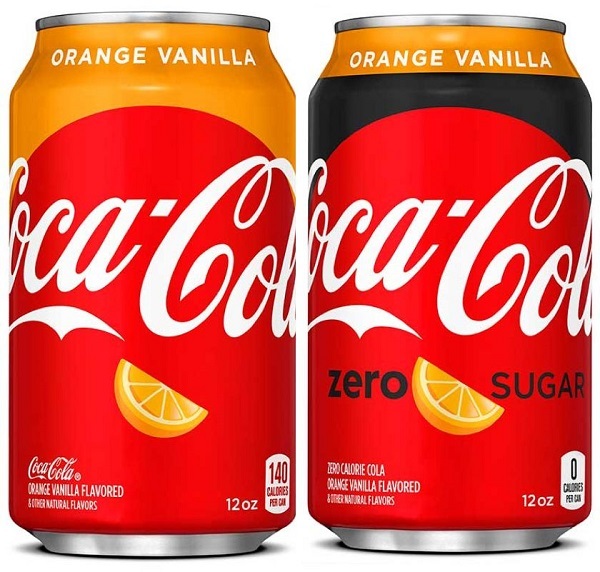 Say hello to ‘Orange Vanilla Coke’ and ‘Orange Vanilla Coke Zero Sugar’, which will go on sale 25 February across the US. The new drinks will be available in 12oz cans as well as 20oz plastic bottles. The soda giant tested three other flavors—raspberry, lemon and ginger—but most of its consumers preferred the orange and vanilla combo instead. The company launched ‘Orange No Sugar’ in Australia and ‘Orange Vanilla’ in Canada last summer to positive responses. Last month, Coca-Cola introduced more flavors to its Diet Coke line, offering ‘Strawberry Guava’ and ‘Blueberry Acai’ to its consumers. Back in 2018, it launched four new flavors—'Ginger Lime’, ‘Feisty Cherry’, ‘Zesty Blood Orange’ and ‘Twisted Mango’—aimed at millennials. The Coca-Cola Company is set to release new Orange Vanilla Coke. With this new flavor they hope to appeal to millennials, or anyone who enjoys a good puke. They already have strawberry Coke at one of our local restaurants on the diy tap to fill your drinks. That's gross enough. Orange vanilla?? That is absolutely disgusting!! !